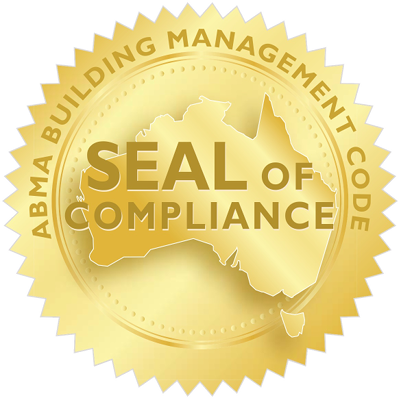 The ABMA Building Management Code (ABMA Code) is produced and maintained by Australian Building Management Accreditation (ABMA) under direction of the ABMA Independent Review Panel (Panel). The primary objective and goal of the ABMA Building Management Code is to provide the "objective standard" to the building management sector. Detailing a nationally consistent minimum necessary standard of delivery in building management activities, including compliance with third party contracts as well as associated Acts, Standards, Regulations and Codes of Practice, the ABMA Building Management Code covers over 100+ Acts, Regulations, Australian/New Zealand Standards and Codes of Practice. Bridging the regulatory gap - providing the only fully inclusive regulatory or non-regulatory alternative available in Australia. The ABMA Code primarily covers operational provisions for maintenance of technical and functional infrastructure within a structure, covering such matters as fire safety installations, access and egress, mechanical, electrical and hydraulic systems as well as soft services, cleaning services, garden maintenance as well as general functionality, health and amenity. The ABMA Building Management Code provides implementation guidelines in common language around statutory compliance requirements. Existing legislation is made simple. Introduction of interpersonal communications standards as a secondary provision within the ABMA Code are directed specifically at managing the softer side of the contractual relationship between the parties to a building management agreement. The Panel expects these guidelines to provide much needed governance, support and clarity around the parameters of acceptable professional behaviour. The adverse implications associated with interpersonal break down in contractual relationships are well documented and, in addition to outlining a national minimum standard for delivery of practical requirements in infrastructure management, the ABMA Building Management Code seeks to pioneer measurable standards of acceptable behaviour as a means to arrest deteriorating affiliations so as to maintain collective direction toward the practical outcomes, compliance responsibilities and other more tangible commitments required under the agreement. Annual reviews of the ABMA Code are conducted by the Panel and new versions of the ABMA Building Management Code are released on 1st January annually. New hard-copy editions are published annually in each state and territory of Australia - and now New Zealand - so as to ensure currency with changing legislation. Subscribers can rely on each new year edition to keep them up-to-date with the latest standards affecting the building management sector. Developed with the intention of breaking the comprehensive ABMA Code into user-friendly and task-specific groups, the Guidebooks are a companion to the ABMA Code and may be distributed to end-users who don’t necessarily require the full spectrum of universal standards documented within the ABMA Code.